Details are everything in interior design. From the things you don’t see (such as quality pillow inserts) and of course, the things you do see, paying attention to (and sometimes splurging on) those details can truly make a room sing. The best details are the ones that are unexpected, require special craftsmanship, and adds delight to everyday experiences. Lately I’ve been noticing pretty unique design details that have me swooning. Today’s post is a roundup of a few favorites that have caught my eye lately. This stunning switch plate is perfect for papered walls so as not to distract from the pattern. It’s like a little piece of jewelry to adorn your wall. Another devilish detail is this unlacquered brass option which will beautifully patina and age over time. These and the acrylic option seen above are available as toggles, push buttons, dimmers, outlets, and home automation and control systems. In this beautifully understated bathroom, I love the use of an exposed pipe. I’ve seen chrome for years, but really crushing on this black option. Never experience that awkward moment of having to announce you’re in the loo again. This little lock makes the announcement for you by turning from “vacant” when unlocked to “occupied” when locked. Cove lighting gives a beautiful radiant light that everyone looks good in. This particularly modern application of cove lighting addresses the ceiling and floor really creating an experience walking through the corridor. Come on you guys! This door!? I just think about the craftsmanship and thought that went into creating this beautiful and elegant door. To me it can go "Hamptons” or “Coastal” or “Plantation” or “Island” style. Absolute perfection. A door knocker is kind of an obvious choice but so many homes (mine included but not for long!) have boring doors. Give your guests a treat before they even walk in by choosing a really fun knocker. When designing cabinetry, do you really know all your options? This hardware, called a “cremone bolt”, is used to lock a pair of doors closed as well as adding visual interest and charm to any cabinetry. This would be lovely in a library on a wall of enclosed bookshelves. Consider upgrading your door hardware for a major impact. A brushed or antiques brass is warm and timeless. Definitely steer clear of the shiny yellow brass of the 80’s/90’s. The lines on this particular knob are modern and fresh and would look great in a new build or a 100 year old home as well. This custom seat back cushion oozes preppy yet laid-back sophistication. Clearly there was no shortage of attention to detail in creating this special piece. I feel like you would find this in Ralph Lauren’s breakfast nook. 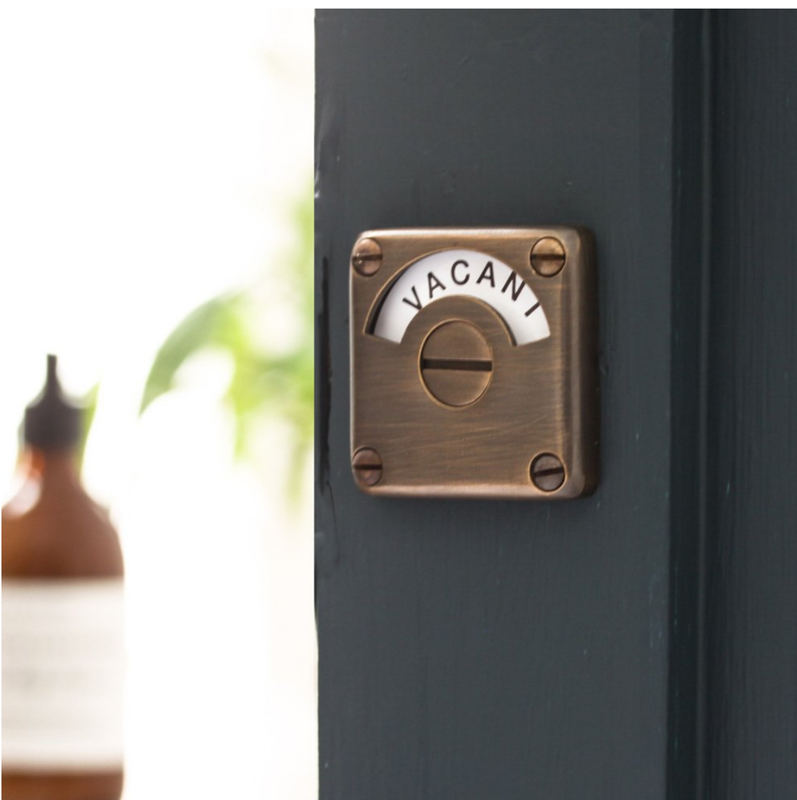 Why choose a basic pocket door pull when you can have this one?! I just imagine how the simple act of closing a door all of a sudden becomes a little delightful moment. Stair case design could be it’s own post one day. But for now, we’ll just relish in this stunning wood and metal handrail detail. These curves are truly a piece of craftsmanship. That’s a wrap! Any of these details inspire you? I’d love to hear what ideas or inspiration you have and might want to accomplish together. Let’s start with a chat!